Here is a picture of the primary school pupils who were rescued last week by the Lagos State Police command over cult related activities. It was gathered that about 12 Primary School pupils between the ages of 6 and 16, were reportedly recruited and initiated into the dreaded cult group known as Awawa in the city of Lagos. According to police report, the pupils were recruited by a 16-year-old girl identified as Salami Rasheedat who attends Egan Senior Grammar in Igando, Lagos and were undergoing training in order to become hardened members in the future before it got exposed. The arrest which happened was disclosed by the Lagos State Commissioner of Police, Mr. Imohimi Edgal, at the State Police Command. 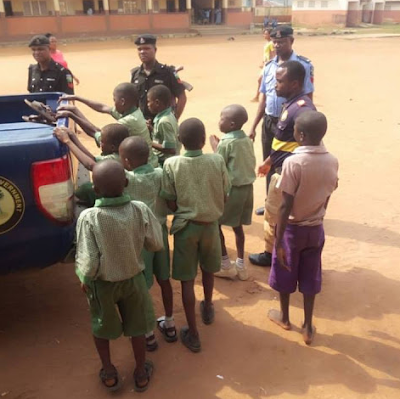 The police boss revealed that two men were also arrested for initiating the Primary School pupils into the cult gang. 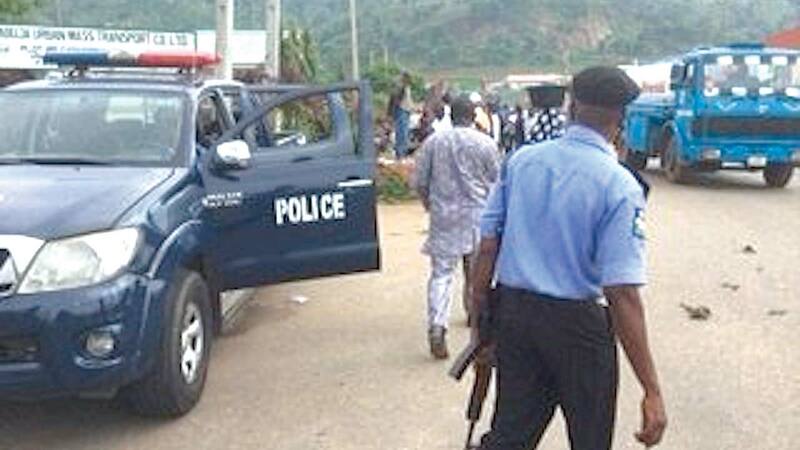 The police said it was a Guardian and Counseling teacher at the Egan Community School in Lagos who uncovered the cultists’ initiation ceremony plan. The school comprised of both primary and secondary levels. The teacher was said to have noticed a particular incision on the lower jaws of some of the students and decided to ask questions about it, to which one of the children confessed that any school pupil or student seen with the mark was a member of the Awawa cult group. The teacher raised an alarm and the school authorities reported the matter to the police.